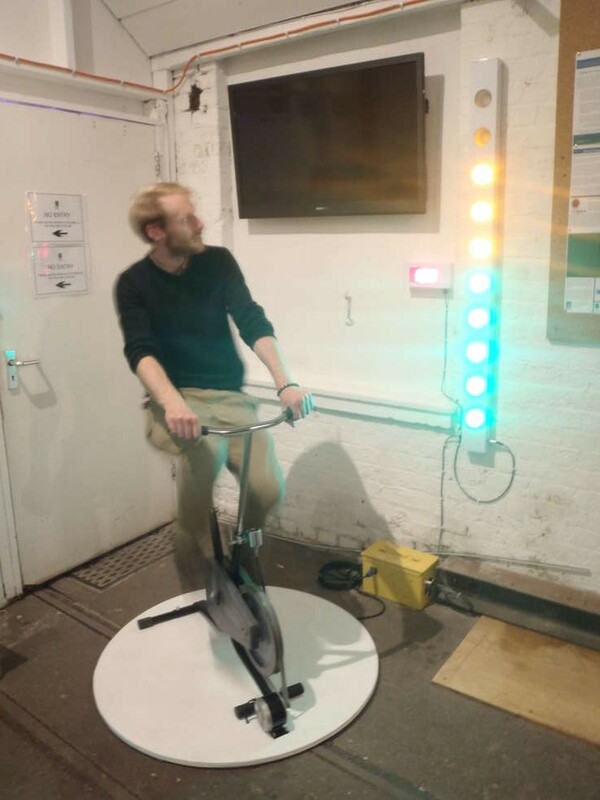 Bespoke Gear was comissioned to build the display system for an energy bike at the Arcola Theatre in Hackney, London. The energy bike is in the front-of-house at the theatre to help demonstrate and educate on energy consumption and efficiency. This display system fitted to a pedal generator built by Magnificent Revolution. It has a bar-graph read out of the power and an actual value in Watts. The system also worked as a voltage regulator, limiting the output voltage to 12V DC and shunting away the excess as heat, so that devices, such as phone chargers, can be plugged in for demonstration. The display is fully powered by the generator.